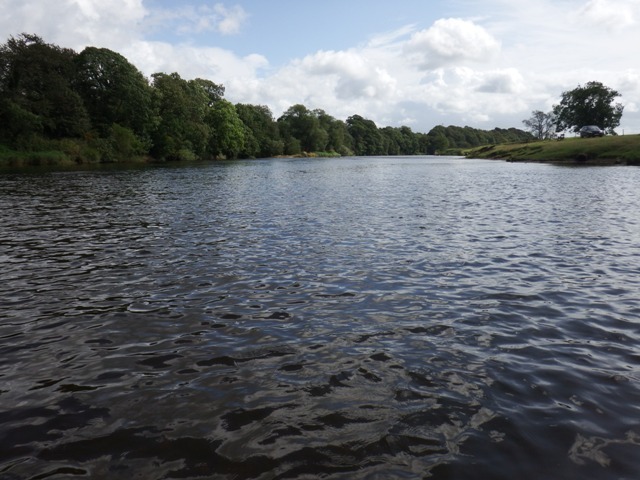 They are run by Wallets Rural Property Services and consist of approximately two miles of varied fishing and named pools on the left bank opposite the Cargo fishing’s. There are two beats, an upper (Grinsdale) and a lower (Beaumont), which are rotated on odd number and even numbered days. Harrison rotation – Upper beat fished (on odd days) and lower beat fished (on even days). Arter rotation – Upper beat fished (on even days) and lower beat fished (on odd days). There are four rods per beat which are let on the basis that you buy a named day of the week for the whole salmon season. 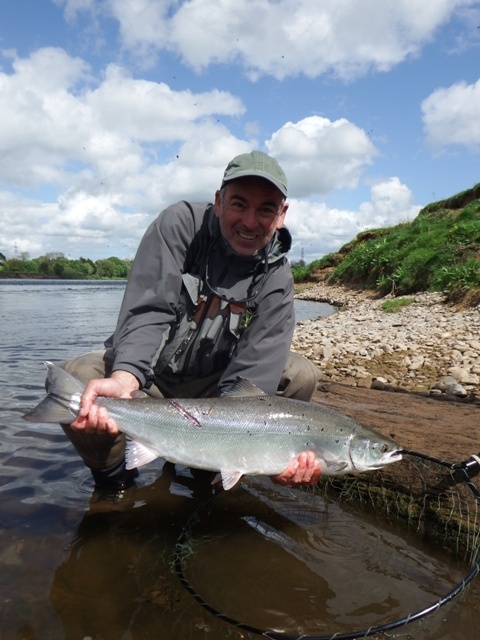 These lower Eden beats have the cream of the early Spring fishing which is improving year on year. The fishery is situated just two miles from the Solway estuary. 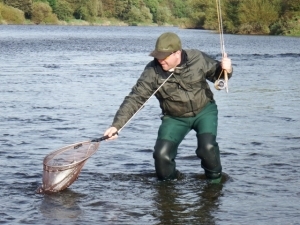 The river here is influenced by the tide – tideschart.com, a Solway tide book is recommended for planning optimum fishing times and for personal safety. There is a good variety of water on the fishery. There are pools with good flow on both beats which are well suited to fly fishing, while the other slower and deeper sections are more effectively spun and bait fished. Beside fly fishing, spinning and (bait fishing after June 16th) is also permitted. 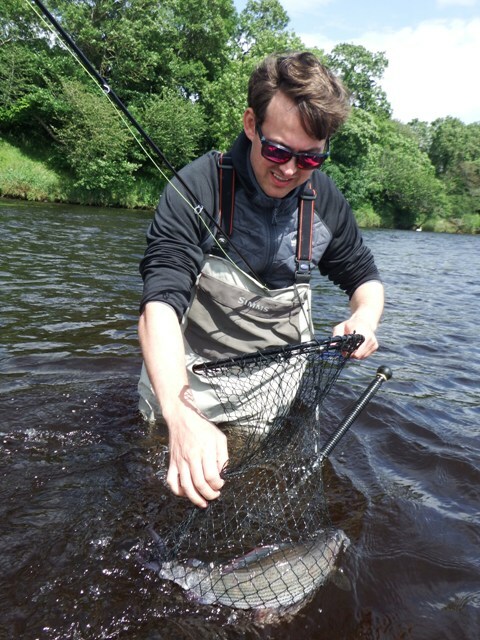 All salmon caught now have to be returned safely, for sea trout there is a limit of two per season although catch and release is very much encouraged now. 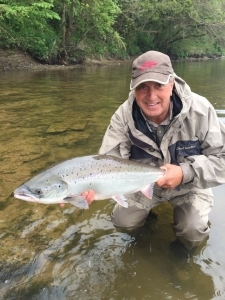 Summer fishing can be exceptional in low water with runs of very large fish early in June entering the river along with improving sea trout numbers. 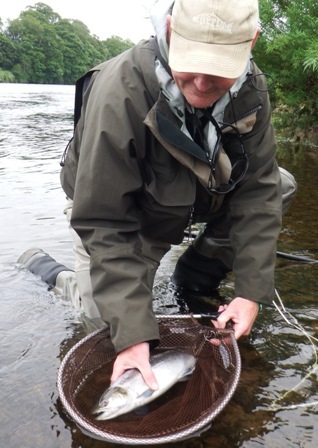 The grilse run usually starts around mid July followed by the Autumn run in August and September. Given the right water conditions, the fishing can be excellent. 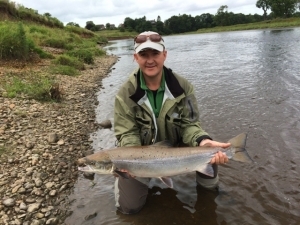 The brown and sea trout fishing in the summer months June, July and August given low water conditions can be outstanding during late evening and into darkness. Sea trout in the daytime. 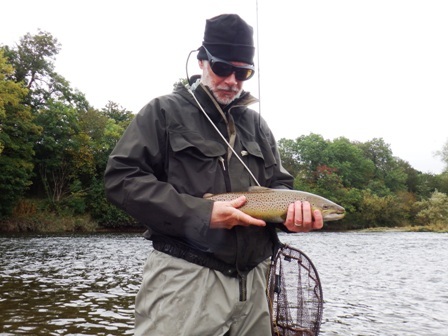 …grayling fishing is very good. The beats are well maintained, there is good access and the majority of wading is easy. 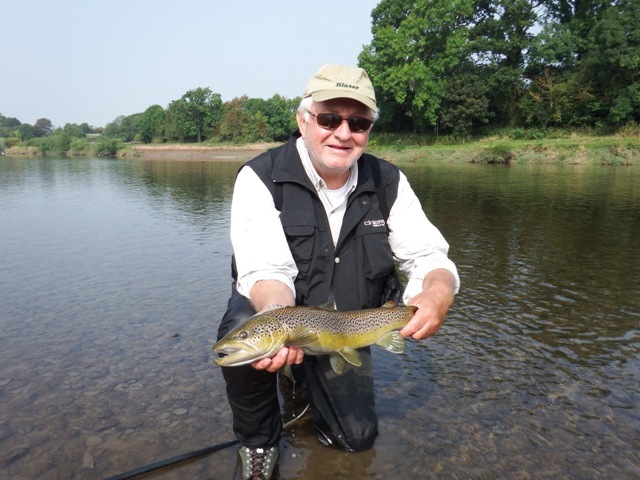 Fishing permits, rod lets, fisheries and angling associations for the river Eden, other rivers, still waters and tributaries in Cumbria and south Scotland.